Never Mind the iPhone 5. Where’s My Windows iPad? The Internet will tell you that there is much sadness because Apple didn’t release an iPhone 5 yesterday. But if you’re really going to venture into the world of tech dreams deferred, then you can end up in some pretty weird places. For instance: Did you know that lots and lots and lots of people are pining away for a tablet that runs Windows? 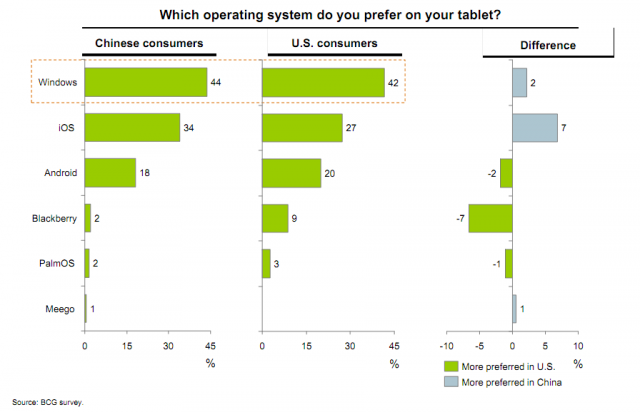 Here’s a new survey out from Boston Consulting Group, which says 42 percent of U.S. consumers would like to buy a tablet that runs Microsoft’s operating system. That makes it the most desired OS by a significant margin, trailed by Apple’s iOS and Google’s Android. When I wrote about it back in August, I found this so puzzling that I got Forrester researcher Sarah Rotman Epps on the phone to confirm that this wasn’t some weird typo. Nope, she told me. And it’s sort of common sense: “When we survey consumers, it becomes very clear that Windows is still a very popular brand,” she said. Apple has sold tens of millions of iPads, but Microsoft has sold more than 400 million Windows 7 devices. What that says to me is that there’s a huge opportunity that Microsoft has left untapped so far. So, what do you think, Steve Ballmer? I know you folks will be preoccupied today with a slew of Xbox announcements. But maybe when you’re done, you can give the people what they want. *I know, I know — there are Windows tablets. 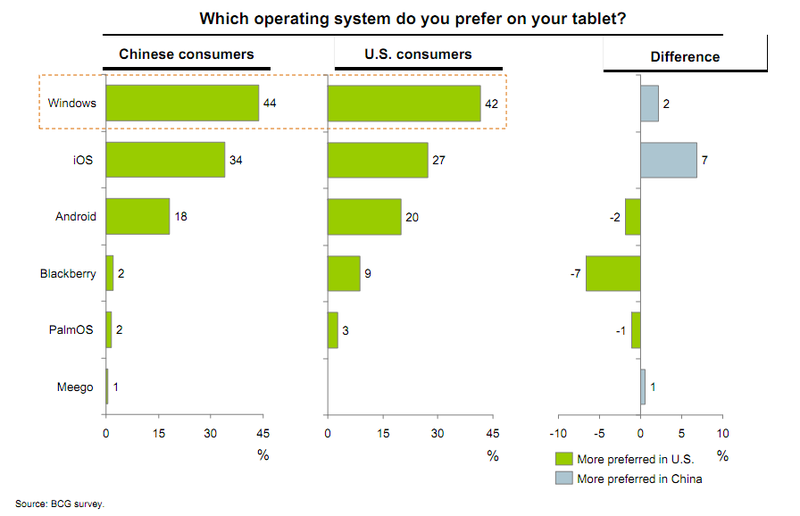 But there aren’t practical, consumer-focused iPad-like tablets running Windows on the market now. Though one day there might be. Okay?